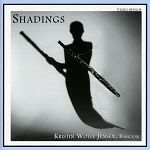 Kristin Wolfe Jensen, renowned performer and teacher, has been the bassoon professor at The University of Texas at Austin since 1995, and is also on the faculty of the International Festival Institute at Round Top and Principal Bassoonist with the River Oaks Chamber Orchestra. In addition she has made a number of acclaimed solo and chamber music recordings. 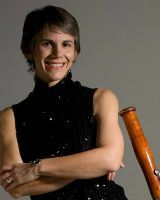 Ms. Jensen is Co-director of the biennial Meg Quigley Vivaldi Competition for young women bassoonists from the Americas, providing the largest prizes of any bassoon competition in the world. An esteemed pedagogue, she has given guest recitals and master classes at many major American music schools and her former UT students hold major orchestral positions and university teaching positions around the country. Her extensive online bassoon method, www.MusicAndTheBassoon.org, provides an innovative, multimedia approach to learning the bassoon. Formerly, Ms. Jensen served on the faculties of the University of Nevada, Las Vegas and the University of North Texas. Ms. Jensen has toured Europe with the Dallas Symphony Orchestra, served as Acting Principal Bassoonist of the Houston Grand Opera, and has been a member of The Dallas Opera Orchestra, the Richardson Symphony, the Las Vegas Symphony, Jupiter Symphony of New York and Continuum. She has performed solo recitals at several International Double Reed Society conferences, and was co-host of the 2005 conference in Austin. As a student, she won the concerto competitions at the Juilliard School of Music in 1990 where she received her MM, and the Oberlin Conservatory in 1989 as an undergraduate, which led to performances of the Mozart Bassoon Concerto, k. 191. Dr. Ronald A. Crutcher is a national leader in higher education, an accomplished institutional administrator, and a distinguished classical musician and Professor of Music. He will become President and Professor of Music at the University of Richmond on July 1, 2015. Dr. Crutcher was President of Wheaton College in Massachusetts from 2004 to 2014. Prior to that, he was Provost of Miami University of Ohio (of which he is an alumnus), Director of the Butler School of Music and holder of the Florence Thelma Hall Centennial Chair in Music at the University of Texas at Austin, and Dean of the Cleveland Institute of Music. He currently serves as co-chair of LEAP (Liberal Education and America’s Promise), the Association of American Colleges & Universities’ national campaign to promote wider understanding of the importance of liberal education in preparing students for careers and citizenship. He has also served on the Board of the American Council on Education and the Fulbright Association and was Chair of the Association of Independent Colleges and Universities in Massachusetts. Dr. Crutcher has taught numerous music courses—in performance and on history and appreciation—and most recently co-taught a first-year seminar, “From the River of Jordan to Jazz and Beyond.” He is a former member of the Cincinnati Symphony Orchestra and several other symphonies and currently performs in the U.S. and Europe as a member of The Klemperer Trio. 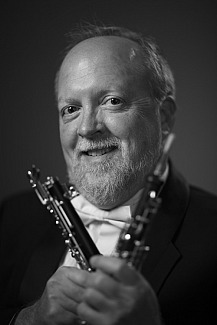 John Snow has been playing the oboe for over 45 years and has had the fortune to play in many orchestras here and abroad including the Detroit Symphony, the Rochester Philharmonic, New Zealand Symphony Orchestra, the Santa Fe Opera Orchestra. He joined the Minnesota Orchestra in 1999. John has won two McKnight Fellowships for Performing Musicians, one each in 2005 and 2011. In 2008 he was featured with orchestra colleagues in performances of Mozart’s Sinfonia concertante under the direction of Sarah Hicks. He performed Mozart’s Oboe Concerto in concerts led by Music Director Osmo Vänskä in January, 2011. An active chamber musician, Snow has performed on Minnesota Orchestra chamber music concerts, and he performs regularly with the Orpheus Chamber Orchestra with which he has toured Japan and Europe and recorded for the Deutsche Grammophon label. In 1998 he made his debut with the Chamber Music Society of Lincoln Center. John received a master’s degree in music from the Yale School of Music where he studied with Ronald Roseman. He has adjudicated and presented master classes at universities and music schools around the U.S. and in New Zealand. Before moving to Minneapolis, John was professor of oboe at the University of Texas in Austin. He joined the faculty of the School of Music at the University of Minnesota in the fall of 2000. John is a Buffet Crampon artist and plays exclusively on a Buffet Green Line oboe. He has also been making oboe reeds for over 45 years. “The fickleness of those damn reeds drove me crazy a long time ago”. The oboist’s success (or failure) depends on those bits of bamboo that sometimes work and most of the time do not. Furthermore, when they do work, they function for only a week or so. John finally decided to make something with a little more permanence and is putting the finishing touches on a cabin he has built himself in northern Minnesota. For better or worse, at the least the cabin will last forever. 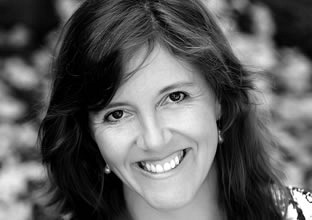 Vivienne Spy has performed as both a solo and collaborative pianist in throughout the USA and Australia. She currently plays orchestral piano with the San Antonio Symphony and is the Principal Keyboard player with the Colorado Music Festival. She enjoys all the keyboard instruments including piano harpsichord, organ and celeste but a particular favorite is the harmonium which was featured on a Camerata concert. Little known fact about the harmonium: it is the best gluteal workout on the planet- especially as in performance you have to keep a smile on your face! Vivienne was the Organist at the University United Methodist Church. She is married to Bruce Mitchell and they share 4 delightful children together, Brian Erin Jack and Zoe.